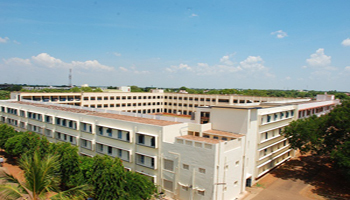 The computer laboratory in the department is one of the largest laboratories in the Tiruchirappalli city with latest configuration computer systems and other sophisticated equipment. There are six air-conditioned laboratories with a total of 362 computer systems. In addition to the general library, the department has a separate library for students in its computer block. The department library has a good collection of about 6300 books, 15 journals and magazines and CDs. The functioning of the library is fully automated. The students enjoy the benefit of open access system in the library. The library has a spacious reading room open to the students from 08.00 a.m. to 07.00 p.m. The hostel accommodation has latest amenities like spacious and well-furnished rooms, recreation room with audio & video facilities, newspapers, magazines, journals, STD/ISD facilities and internet browsing center to make the inmates feel at home and to study in a calm atmosphere. Besides academic activities the college is giving due encouragement and fullest support to games and sports such as Cricket, Hockey, Basketball, Football, Volleyball, Kabbadi, Badminton, Tennis, Table Tennis, Chess, Weight Lifting and Athletics. 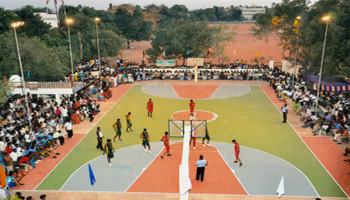 In athletics, sports and games, the college has been acclaimed all over Tamil Nadu and has earned glory in every field. The Department has a Placement Cell, which assists the final year students in getting job in reputed national and international companies from top management positions to entry level freshmen. Our students have also been employed in USA, Canada, UK, UAE, Saudi Arabia, Kuwait, Bahrain, Singapore and Malaysia. Cognizant Technology Solutions India Private Ltd.
IBM Global Services Pvt. Ltd. Pervasive Software India Technologies Ltd.
Sutherland Global Services (P) Ltd.